Kim Joohyung of South Korea and Donlaphatchai Niyomchon shared the lead heading into the final round of the the Singha Championship in Rayong on Friday. 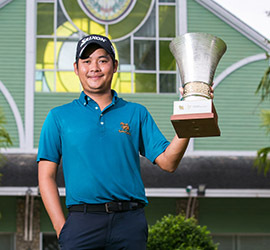 With a stroke behind the leader into the final round, Pawin Ingkhapradit, who led in the first two rounds, closed with a 4-under-67 to win on 12-under-272 at par-71 Rayong Green Valley Country Club. 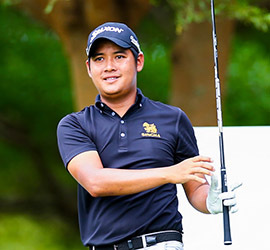 Pawin Ingkhapradit carded a 3-under-par 68 to take a clubhouse lead on 9-under in the second round of the Singha Championship in Rayong on Friday. 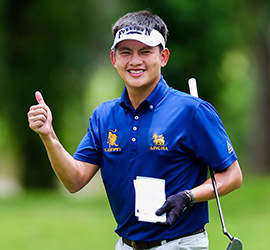 Pawin Ingkhapradit birdied the last two holes en route for a 6-under-65 at the first round of the Singha Championship in Rayong on Thursday. 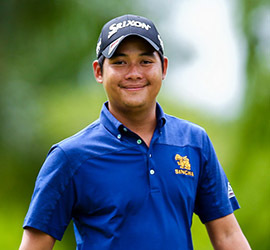 Chanachok Dejpiratanamongkok is going to defend the title at the Singha Championship in Rayong this week. 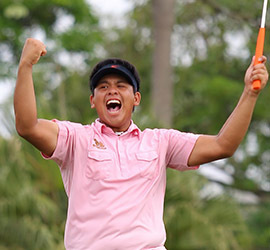 At last year’s edition, Chanachok beat Pavit Tangkramolprasert in a playoff to win the title after they shot 15-under-269 in regulation at Rayong Green Valley Country Club.